Can CBD Help Treat Alzheimer’s Disease and Dementia? CBD’s therapeutic properties have started to come to light in recent years with tinctures and oils that are helping people reduce pain, relieve anxiety and even help stop severe seizures. There’s concrete evidence that CBD offers health benefits to users, but the oil may also be able to help treat Alzheimer’s disease and dementia. CBD and Alzheimer’s disease are being studied to find a link between the benefits of CBD and the disease. And initial research and studies are proving to be promising. Research and studies are still ongoing, and you’ll want to keep up on the latest news and results to choose a CBD product that provides the best results. As we’ve seen with other illnesses and diseases, there will be different recommendations for an appropriate CBD dosage for Alzheimer’s. Alzheimer’s disease and dementia are “cousins,” and this ailment leads to a person becoming aggressive, forgetful and even agitated. Sometimes, the person will lose their personality, and they will not remember their loved ones over time. It’s a sad disease, and it’s one that doctors and researchers are scrambling to correct. Medicines and treatments that target the endocannabinoid system have been of interest for years. Australian researchers studied the effects of CBD on Alzheimer’s disease in mice in 2011, and found that CBD may be promising for Alzheimer’s. The study found that CBD can help with the growth and development of neurons in the brain. Neurogenesis can help reduce cognitive function deterioration. Studies conducted on animals have shown that cognitive defects can be prevented and reversed in some circumstances. One study, over just three weeks, was able to reverse the cognitive defects in mice. Eight months of treatment led to the prevention of recognition deficits. The study also looked at THC, with some indication that THC, when combined with CBD, may be even more powerful at helping treat Alzheimer’s disease. 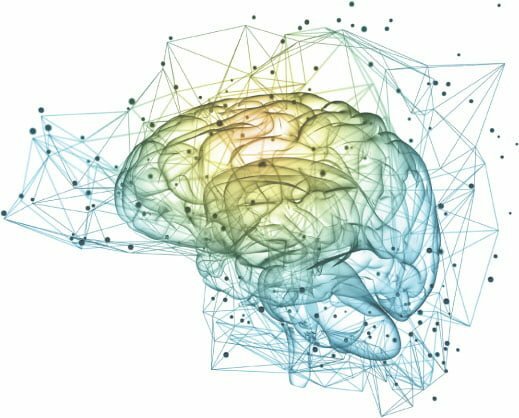 This is one of the most promising studies on helping slow or eliminate the impact of AD on the brain, but other studies have not found similar results, or the results have been mixed. When researching the benefits of CBD on Alzheimer’s patients, we also come across the Alzheimer’s Society. The society cites numerous studies that show that even if CBD doesn’t reverse or protect against dementia or Alzheimer’s, it can help relieve some of the behavioral symptoms associated with the conditions. These symptoms are often the most dramatic among patients because they can become very aggressive towards their loved ones. When it comes to behavioral issues, there is ample evidence that CBD can help relieve many of these issues. Inflammation is a major issue with Alzheimer’s disease, and the inflammation of diseases is not unique to Alzheimer’s, it can also be found in people suffering from Multiple Sclerosis or Parkinson’s. Researchers believe that the inflammation is a natural reaction from the body, acting as a defense mechanism in the early stages of disease. Chain reactions can occur due to this inflammation, and this may lead to further inflammation or neuronal deterioration. Progression slowing, while not able to reverse the condition, can be used to help the patient have “more time.” Slowing progression may allow for other alternative forms of treatment to be offered, possibly slowing the disease further or eliminating it in the event that a cure is found. A very small study was conducted in 2016, and there definitely needs to be a larger study conducted to further verify the study’s findings. The study used CBD on a group of 10 patients over the course of a 10-year period. NPI score reductions were significant. NPI includes cases wherein there is distress, agitation, aggression, delusion, irritability, sleep issues and apathy. The study was able to reduce NPI from 44.4 to 12.8. The findings were significant enough that researchers believe that an extensive study is warranted. 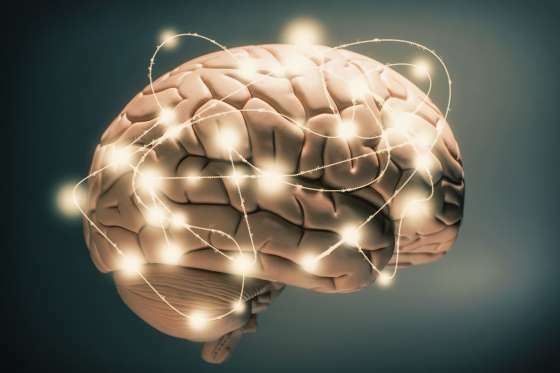 Neurogenesis is a very powerful process, and it’s a key focus of a lot of studies because this means that the brain will be able to create new neural tissue. The creation of tissue will help offset some of the effects of Alzheimer’s disease. Alzheimer’s disease is known for destroying the neural tissue rapidly. This destruction is what will cause neurological effects, leading to memory loss, personality changes and even cognitive loss. What’s interesting is that a person suffering from this disease will effectively turn into a different person. The kind, loving mother that has this disease will often become mean and aggressive. Loved ones often have difficulty trying to understand the changes that are occurring with their suffering loved ones. It’s one of the hardest things that family members will witness when someone has Alzheimer’s disease. Cannabis oil has the potential to slow all of the neurological changes in the brain. But in terms of stopping the degeneration completely, cannabis oil has not been shown to provide this benefit just yet. It’s important to know that the impact of Alzheimer’s disease is one that researchers have been trying to eliminate with no success. There are other, non-CBD breakthroughs that are showing to be promising in initial studies. What’s important to note with all of these studies is that even if the disease is not cured, CBD has been able to help patients better manage their symptoms. Caregivers and loved ones are also helped through fewer outbursts and agitation. So, CBD oil may not be a “cure,” but it will definitely help alleviate the symptoms that the person is going through. In many cases, the use of CBD oil has been more effective than traditional medications, especially to help with behavioral issues in patients. These behaviors, when under control, will make life more “normal” for the patient and their families. Also, in terms of dosage, there is no dosage recommendations available, as studies are still ongoing. What is the Best CBD Oil for Alzheimer’s? Natural. Oils that are filled with other ingredients will not work as well as all-natural oils. You don’t want to worry about the impact of other ingredients on your health, so find an oil that contains natural ingredients only. CBD oils should be third-party tested to ensure that they’re pure and natural. These tests provide further insight into the quality of the CBD oil. Full spectrum. Until evidence suggests otherwise, it’s important to buy a full spectrum oil. Isolates will include only CBD, but full spectrum will also contain trace amounts of cannabinoids which also have their own healing properties and offer better overall performance of the oil. Buy from a reputable country of origin. Country of origin is very important because a lot of hemp is grown overseas. When buying from United States companies, you’ll know that there are strict growing conditions that need to be met. Some countries, and you’ll want to do your own research, will grow plants in areas that have heavy metals which will make their way into the plant as it grows. You’ll want to read reviews on all of the oils that you purchase and also read third-party evaluations. There have been plenty of times when a product tested zero for CBD content, and a large majority of CBD oils have less than 10% of the listed CBD content. Keep in mind that out of all of the studies, none have provided the “recommended amount” of CBD oil to use. You’ll want to experiment on your own, finding a dosage amount that shows positive effects on the patient. Cannabis oil has become an effective Alzheimer’s disease therapy, but the patient is left up to their own devices when determining dosage. As more positive research comes out, there may be a better scientific ground for doctors to follow in terms of dosage.